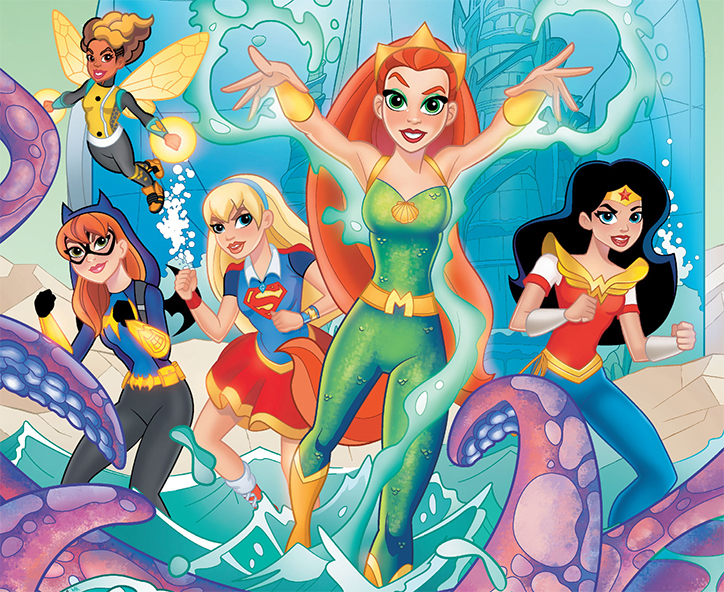 DC Super Hero Girls: Search for Atlantis Fun Facts with Writer Shea Fontana | YAYOMG! Get your cape on and get ready for an all new super-sized graphic novel adventure – DC Super Hero Girls: Search for Atlantis is now available from DC Comics! 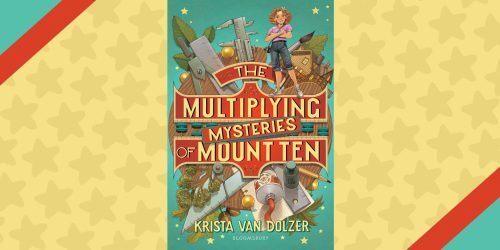 This time, the girls must team up with the Teen Titans to take on the evil Brainiac who’s been shrinking cities for his bottled city collection. It won’t be easy, though. 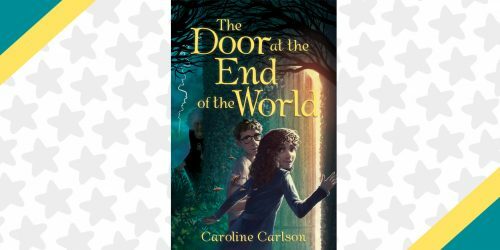 They’ll have to work together to combine technology and magic, survive friend drama, and of course, save the day! 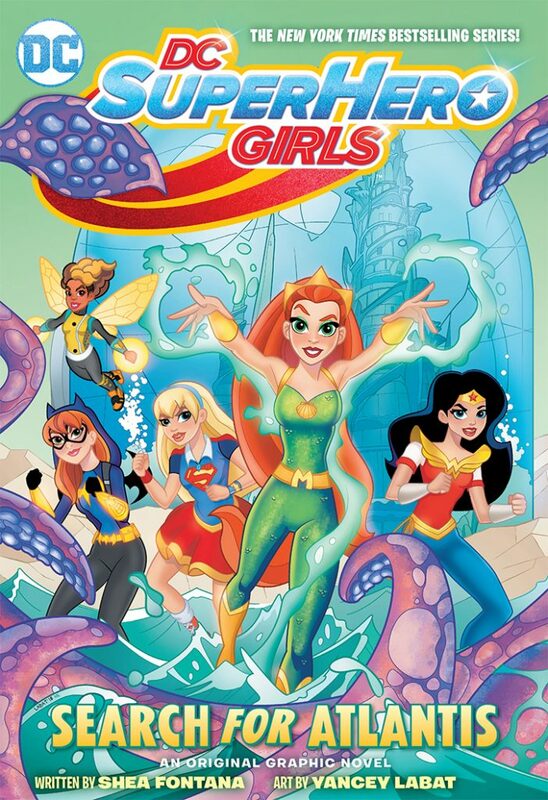 Plus, it makes a great companion to the new DC Super Hero Girls: Legends of Atlantis animated film, out today. 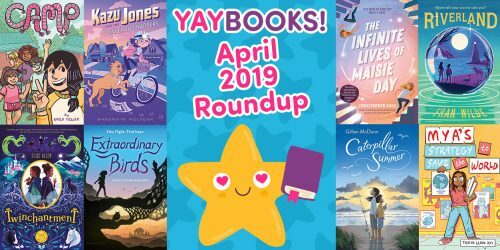 We’re extremely excited to share that writer Shea Fontana is taking our readers beyond the panels of this new story by sharing 7 Fun Facts about Search for Atlantis and your favorite DC Super Hero Girls. 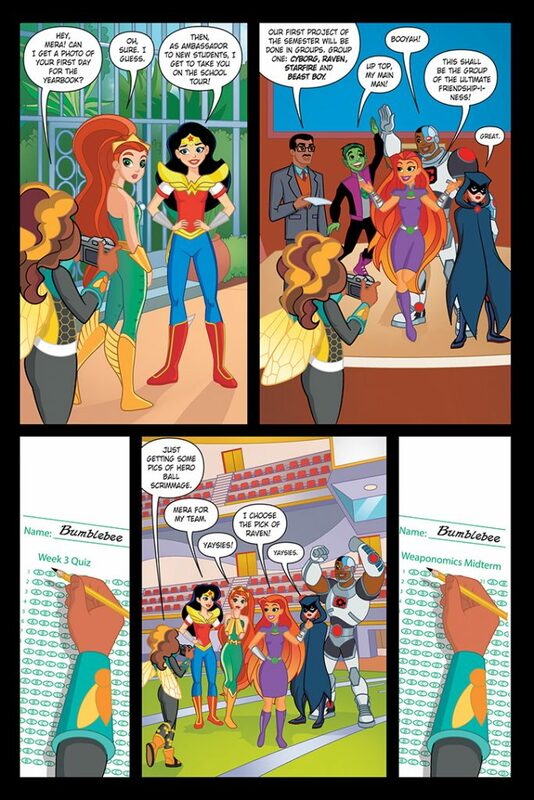 This is the first appearance of Mera in the DC Super Hero Girls graphic novels. The character of Mera has been around since 1963 when she first appeared in the Aquaman comics. In this story, we see Bumblebee working on the yearbook. From the DC Super Hero Girls animated shorts, we know that Harley Quinn and Wonder Woman are also in the Yearbook Club. The name of the ship is the “Fontana,” which artist Yancey Labat named after me! He always includes little nods to the creative team in the art. In Date with Disaster, characters modeled after colorist Monica Kubina, letterer Janice Chiang and Yancey himself are employees of the Daily Planet. In Summer Olympus, DC’s Mike Carlin and I appeared as characters on the street and Yancey often uses all of our names for graffiti in the background. Inspired by these Easter eggs, in my upcoming graphic novel, Batman: Overdrive, I’ve named the streets after DC editors I’ve worked with. Bumblebee is one of the main stars of this graphic novel and the viewpoint for our main emotional conflict in the story. In DC canon, Bumblebee debuted in 1976 and was originally part of the Teen Titans. She was the second African-American female hero in the DC universe, following the debut of Nubia a few years before. 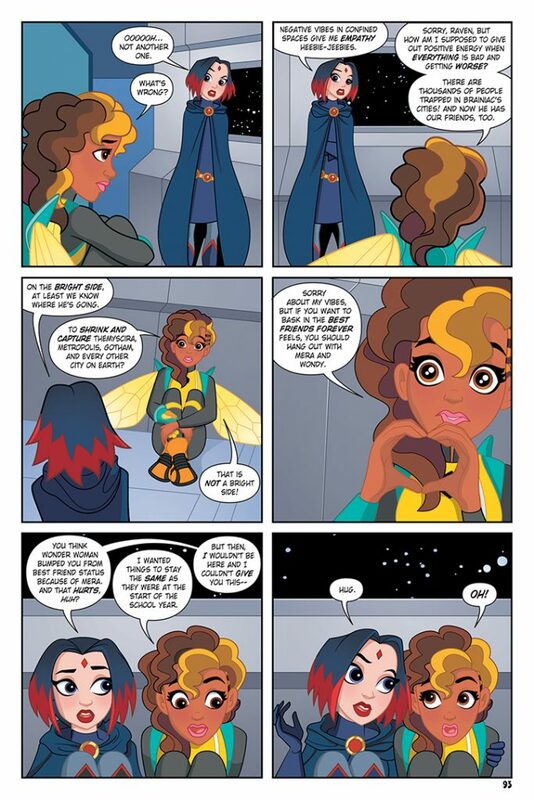 I had not been familiar with her before writing DC Super Hero Girls, but she is now one of my favorite characters! 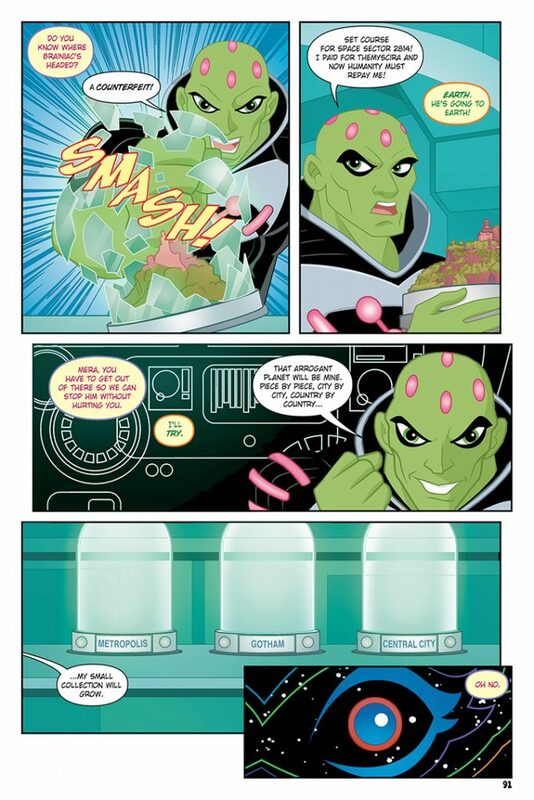 Brainiac is our big villain in Search for Atlantis. Our superheroes first met Brainiac in the animated movie, Intergalactic Games, where he teamed with Lena Luthor to take over Metropolis. The story of Bumblebee feeling left out after Wonder Woman becomes friends with Mera comes from my own high school experience when my “best” friend decided that someone else was her “best” friend. I felt so betrayed! Looking back on it, I wish I had been able to talk to her about my feelings and worked it out. But I got some closure by giving Bumblebee and Wonder Woman a happier outcome. 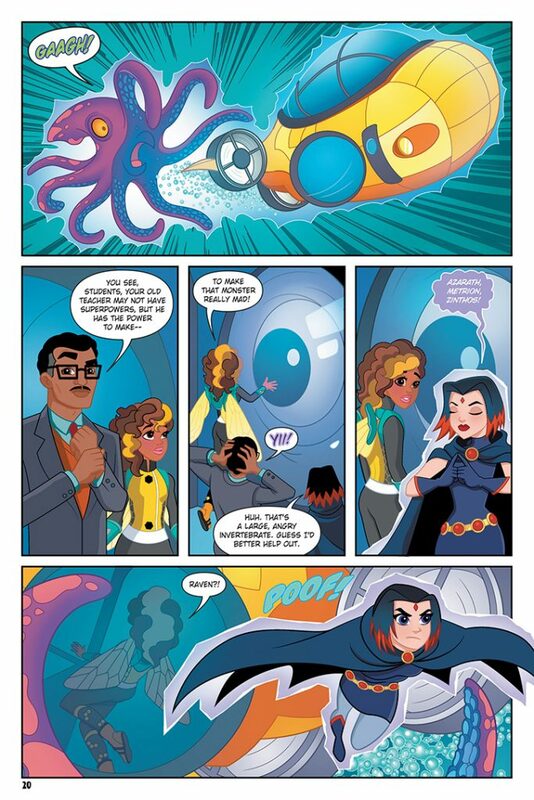 Search for Atlantis is Raven’s second appearance in the DC Super Hero Girls graphic novels. Her first cameo was in Hits and Myths when she helped the superheroes escape her dad, Trigon, and the Underworld. Raven is an empath, which means her superpowers are dependent on emotion. I love Raven so much that I dressed as her for Halloween last year! We think Shea Fontana is a bit of a superhero herself! 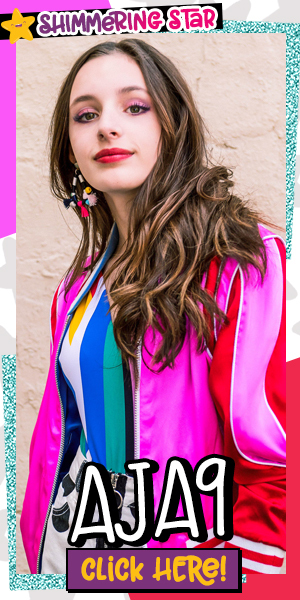 You may not recognize her, but we’re confident you’ve read, seen, and obsessed over all of her work. 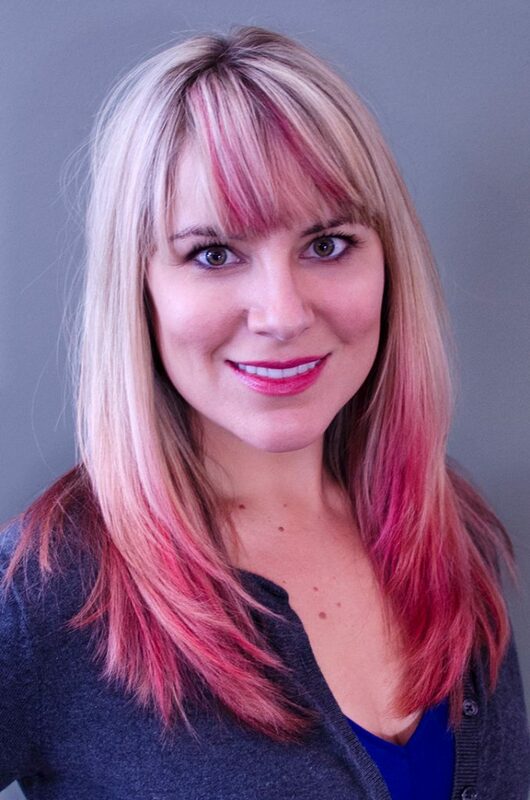 In addition to writing the DC Super Hero Girls animated films, digital shorts, and graphic novels, Shea has also written for The 7D, Disney on Ice, and Doc McStuffins. She’s even writing the upcoming Polly Pocket digital series! 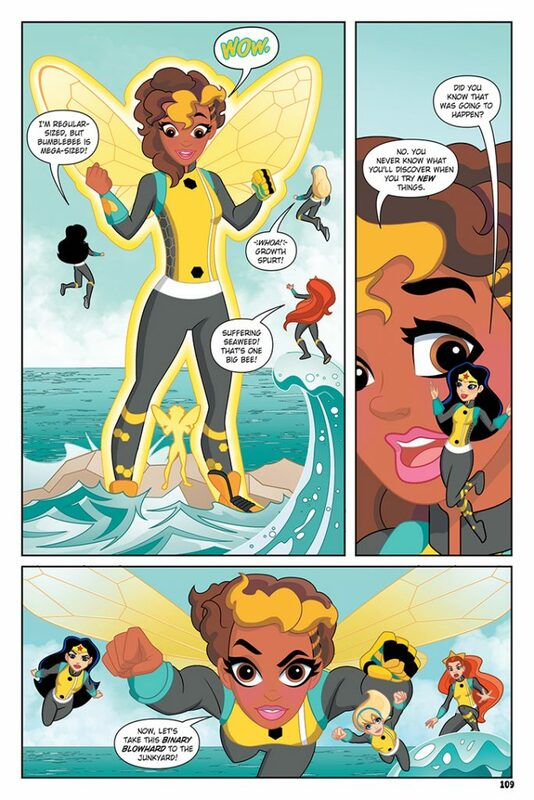 Ready to pick up your copy of DC Super Hero Girls: Search for Atlantis? You can head to your favorite bookstore, comic shop, or Amazon. 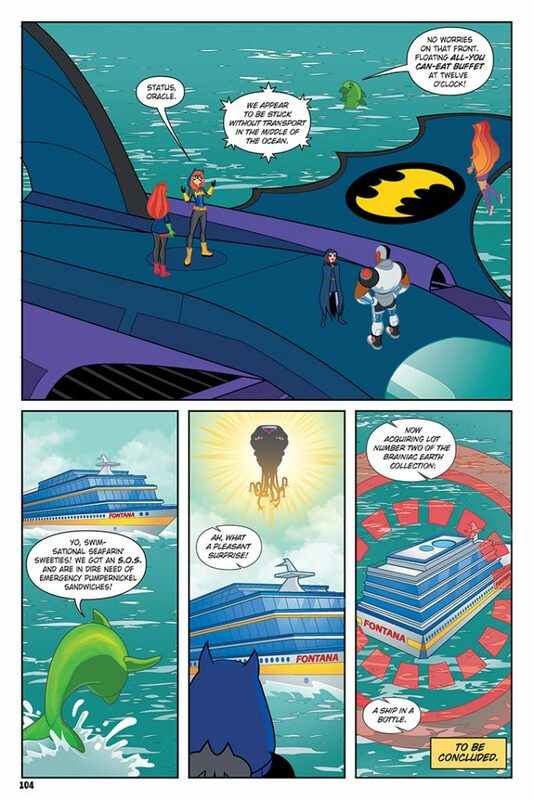 You can get to know even more about Wonder Woman, Batgirl, Bumblebee, and the rest of the girls at the DC Kids website. Filled with videos, games, and fun activities, it’s a great way to get to know your favorite superhero squad. Think you’re a DC Super Hero Girls expert? See if you can ace our Intergalactic Games quiz!